Spicy whisky. Not easy to decipher, but very intense and delicious. [August, 2004] Finally I emptied a bottle that I bought for 28,50 Euro in May, 2004.In my old rating system (ten scales that translate into WB points: 50 - 66 - 75 - 80 - 82,5 - 85 - 87,5 - 90 - 92,5 - 95) I scored this 85. I took no notes. It is really pleasant enough, one of these summery, very light ones. Flower meadow and dry hay, some arrak-punch, chlorin. Then same peaches, chamomile and honey. Initially raw bananas and nectarines and some grassy overtones, bitterish. The bitterness stands down with some time in the glass leaving some black tee though, honey and chamomile also here. Rather nice, very mellow. Pleasant, malty hay and honey. Nothing special here but good enough. Suprised by the peat I smell here. 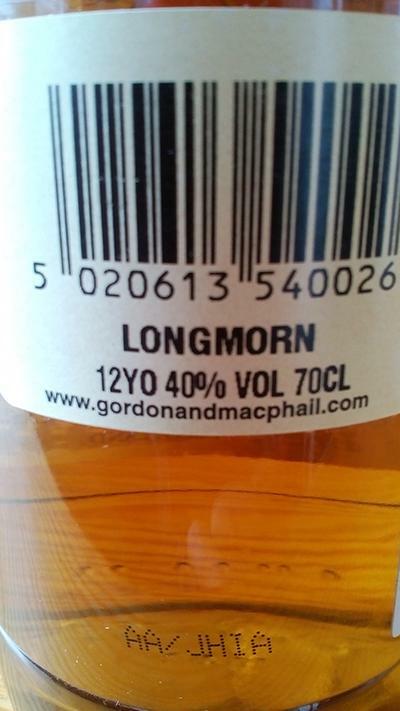 In fact, one of my favorite allday drams. Fruity, malty, round. The way a Speyside whisky should taste for me. Malt, exotic fruit, apples and sherry. Creamy butterscotch caramel, vanilla, caramelized orange in honey. Intense fruity and sweet. A touch of oak. Soft and malty in the mouth. Again fruit, orange and apricot, then stronger spices and oak. Some sherry and dark chocolate in the background. Long and warm, accompanied by bittersweet orange, dark espresso and chocolate. At the end malt follows again. level malt or standard stuff. 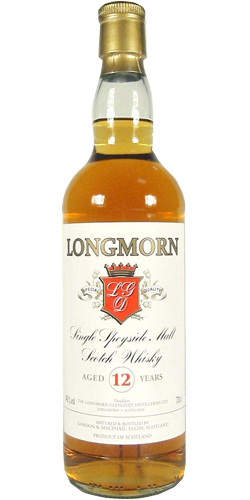 This Longmorn is an exception to that rule. Terrific stuff! Around 40 EUR, which really is not expensive. layer of honey. Hints of orangettes. Mildly floral. Think buttercups. ending in a mildly drying note.